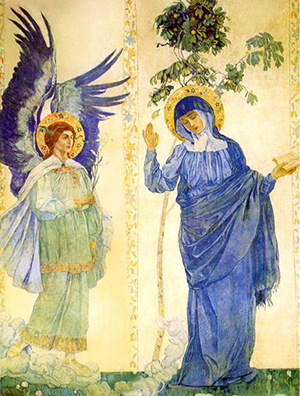 Today we celebrate the Feast of the Annunciation, that marvelous, mysterious event when the Angel Gabriel appeared to Mary, asking her to agree to become the Mother of God. Mary accepts the angel’s proposal. She trusts not only in God but also in her fiancé, Joseph. She trusts that somehow he will be able to understand, and eventually he does. We place Mary and Joseph high on a pedestal, not because they necessarily did extraordinary things but because they had extraordinary faith. They model for us what it means to trust in God, even if it means believing in the unbelievable.